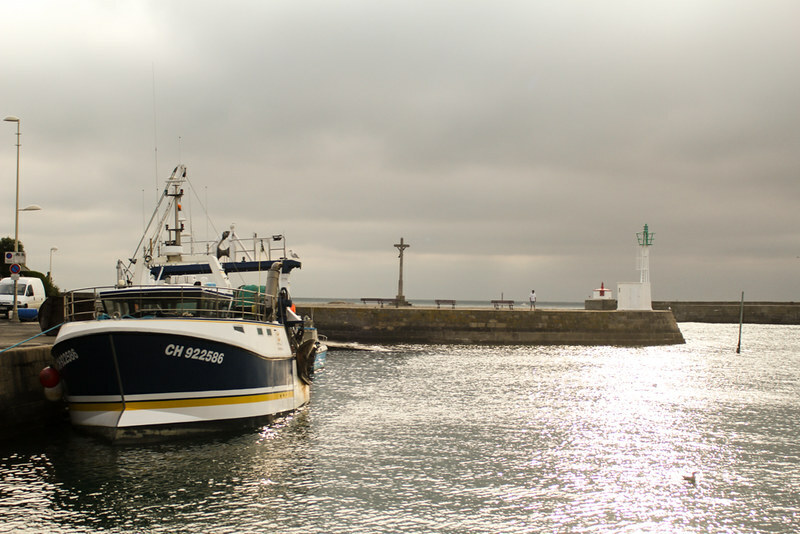 During the August Bank Holiday I took advantage of the £24 return ticket from Brittany Ferries and finally boarded Barfleur, the daily ferry that connects my town with Cherbourg, in France. The ticket is valid for 29 hours on French land and because Cherbourg is pretty small and you can see it in one day, I decided to search for an alternative. And this is how I came across Barfleur, a small fishing village after which the ferry was named, located almost 30 km away. From Cherbourg there are only a few daily buses that go to Barfleur and I decided to board the first one of the day, at 7:30am. The weather gloomy and as the bus rode the french countryside road, climbing up hills and passing through narrow stone villages, I couldn’t stop wondering if the sun will ever come out. I remember being cold and trying to cover myself with my long scarf. I know it was the end of August but what could have been in my head when I decided not to take a jacket with me? When I arrived, the bus driver showed me where the return stop was and wished me a good day. Barfleur was like a ghost town, not a soul on any road. I headed towards the harbour and looked for a coffee shop, I needed my warm liquid to wake up and warm up a bit. Everything seemed to be closed, except Cafe de France, a small restaurant very close to the church. While I was sipping from my delicious coffee I could observe the locals coming in to read the paper and have the jam and baguette breakfast. Everyone seemed to know everyone and that didn’t surprised me, the entire village only has about 600 inhabitants. The people working on the boats would have their coffee outside, preparing their equipment. 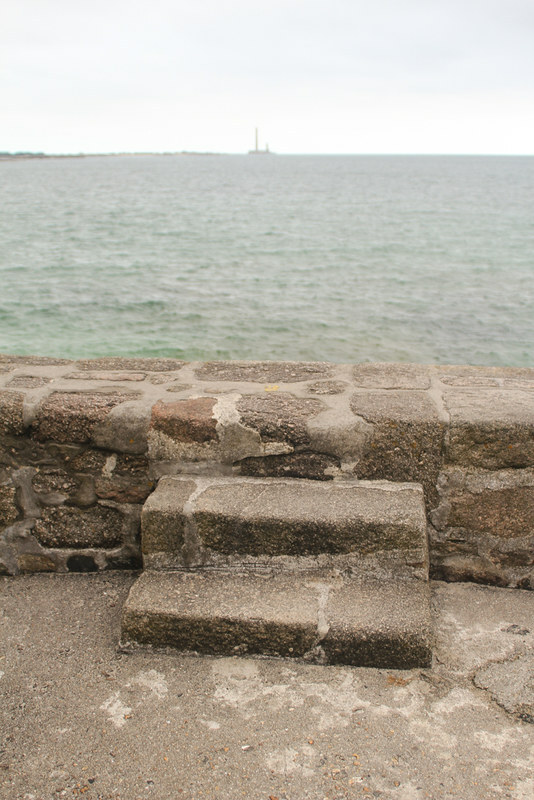 As I said before, Barfleur is very small but even so, there are plenty of secret corners to explore. I enjoyed walking along the charming quay and peak inside the picturesque boats, noticing how the fishermen would prepare their boats for the day. Some of them were already back with the fish caught in the early hours of the morning, some would just prepare to leave. 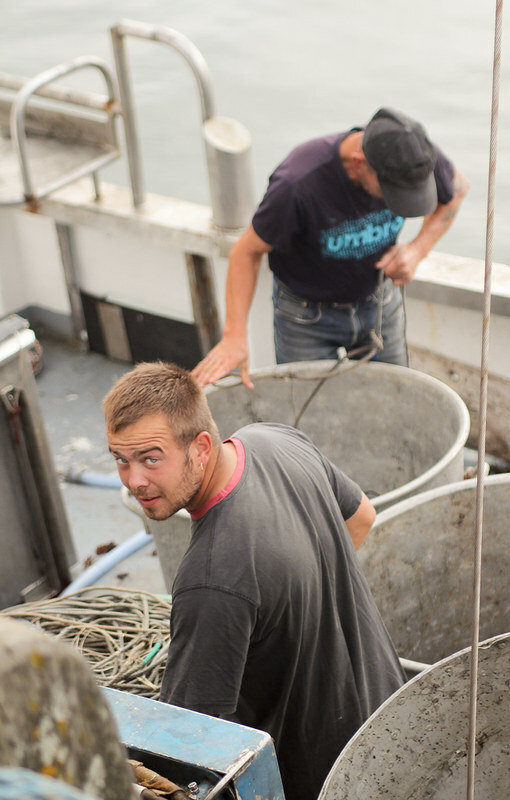 There were other people that would work on the maintenance of their vessels. It was definitely not your typical touristy place. One of the major source of income for the locals is fishing and harvesting mussels. In fact, the local specialty served at the 3 (maybe 4) restaurants in town is the Blonde de Barfleur (a special type of mussels with a golden shell, only found in Barfleur). Unfortunately I didn’t have enough time to stay for lunch, as I had to catch a bus at 1, to make it in time for my ferry’s departure back to the UK. Behind the church I discovered a mansion with a beautiful well in their garden. In order to see it I had to climb some slippery stones and raise on my toes. I bet the owners didn’t think of anyone doing that, but my curiosity was bugging me and I had to see what was hiding behind the stone wall. I then continued walking on the stones and found myself surrounded by water. Little did I know that later during the day the low tide would come and the area would become walkable. 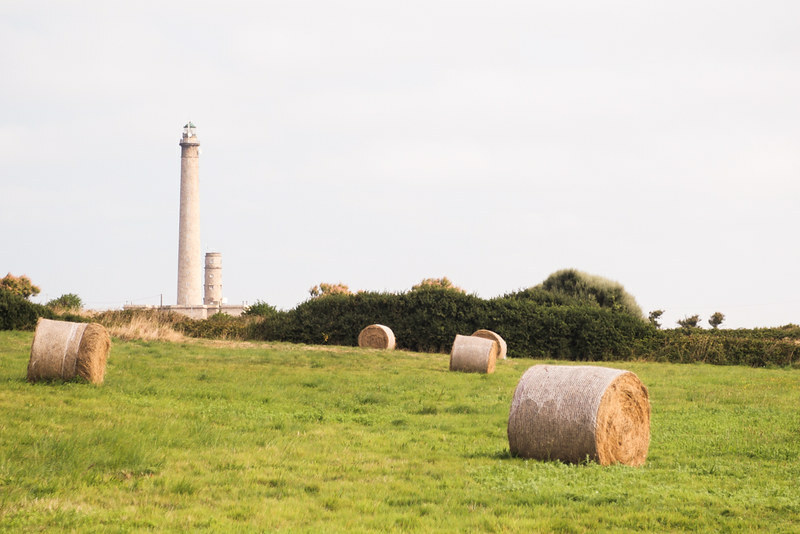 I turned back and continued walking towards the Gatteville lighthouse, the second tallest in France. I found out later that you can actually go all the way up inside the lighthouse, while you count the steps (as many as the days in a year) and the windows (as many as the weeks in a year). 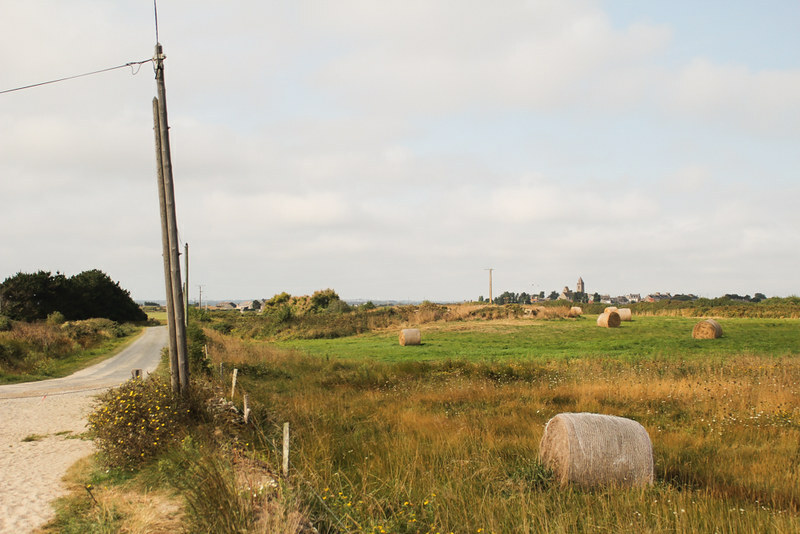 The path towards the lighthouse starts behind the church in Barfleur and follows the sea through empty beaches and fields of hay. It’s an easy and relaxing 4 miles walk, return. 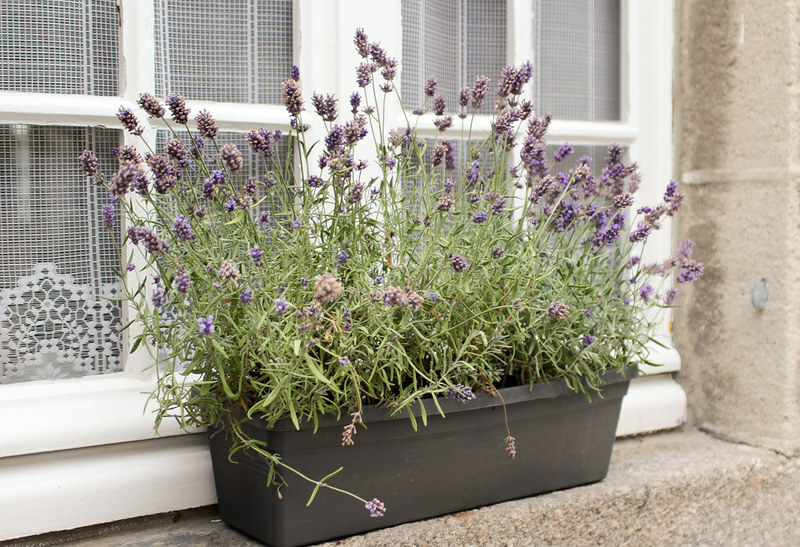 Back in Barfleur, looking for a patisserie to grab some lunch I couldn’t stop admiring the sturdy granite grey buildings decorated with white shutters and pots of lavender on the windows’ ledges. 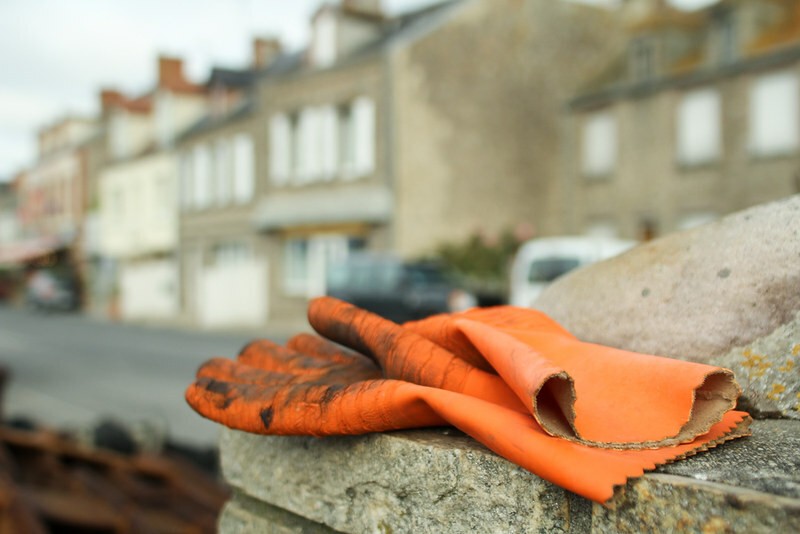 It’s hard to believe that in the past Barfleur used to be the largest port in Normandy. In our days nothing in this quiet village reminds of its tumultuous history, when it’s been burned down 3 times, in the 14th, 15th and 16th century. At the only patisserie in town I found a great selection of cakes and croissants. It took me about 15 minutes to decide on only one cake: the almond tart. I could have easily bought one of each, they all looked so delicious! 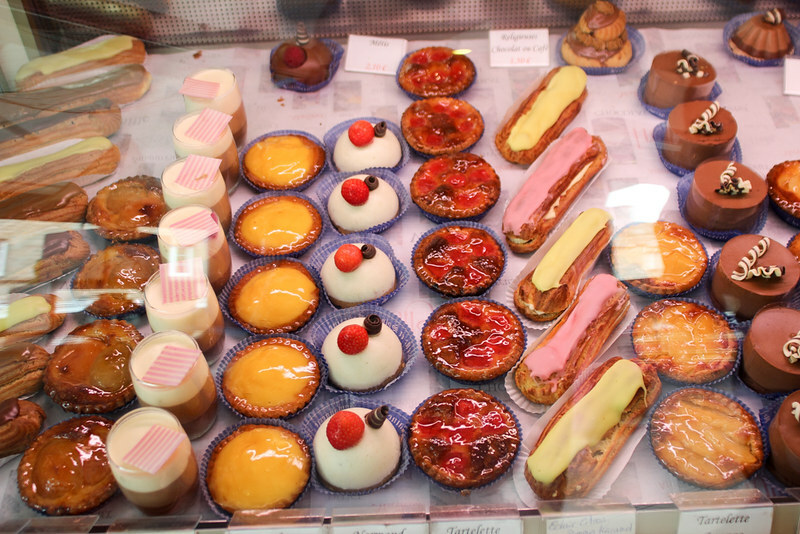 Buying cakes and bread in France was a great way for me to practice my almost forgotten French. And it was so lovely to see how the French people were appreciating my effort and always smile and be very helpful in return. You are so lucky to be able to do that in one day, it sounds fantastic and there is nothing I love more than exploring the nooks and crannies of a quirky small town. What a stunning day! First, the photos are stunning. Although you mentioned that the place is small, there seemed like a great deal to explore. Love that it is by the sea. 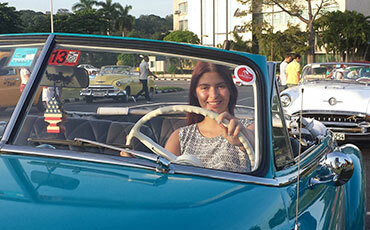 Sounds like a great idea for weekend getaway! I am sure you had a lot of fun. The photos are amazing. Looks like a really cute place to visit. The dessert looks yummy and I love all the boats in the last photo. Lovely article. 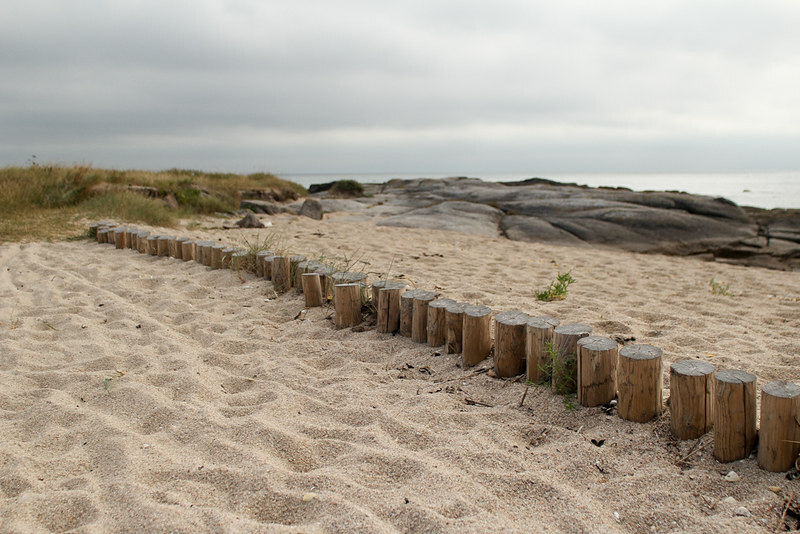 It was a pleasure to read about this small fishing village and look through your beautiful photos. Never heard of Cherbourg or Barfleur. Gloomy weather so close to the UK. Really, lol? You should always have a coat! It’s great that you got pics of the fishermen, but the pastries look the best! I’ve never heard of Barfleur or Cherbourg before but it’s always overwhelming to find destinations away from crowded tourists! Amazed to know that there are only 600 people in that village and everyone knows each other by their names. I also loved the Lighthouse, explored the similar in St. Augustine, FL! Loved your pictures! What a great day trip. I really enjoy visiting small towns. 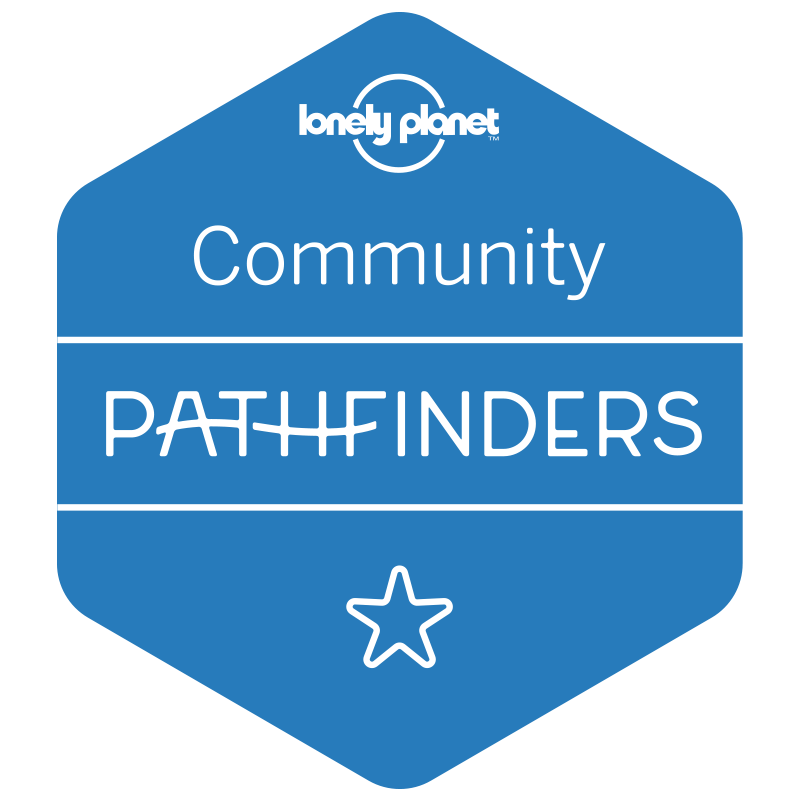 They are easy to explore on foot and you can spend your time eating at locally owned places and immersing yourself with the locals. Looks like a good day trip can be planned to this place. So what did you find peeping over the wall ? The place still has loads of old world charm which makes it very attractive. Such vibrant photographs, kudos to you.The lighthouse sounds like a pretty awesome place with 365 steps and 52 windows.Loved how you worded it out.A small town always has more character to it. This is so cool. I love small little towns where you really get a sense of the locals. Your photography is also amazing! I might be bias but the dessert shot is my favourite! Wow you’re so lucky, we don’t have any old little fishing villages like that here in the States that has all that history. It’s almost like it’s been untouched by the World. I like walking around empty and quiet villages. Is the best way to feel the place and take it slow. 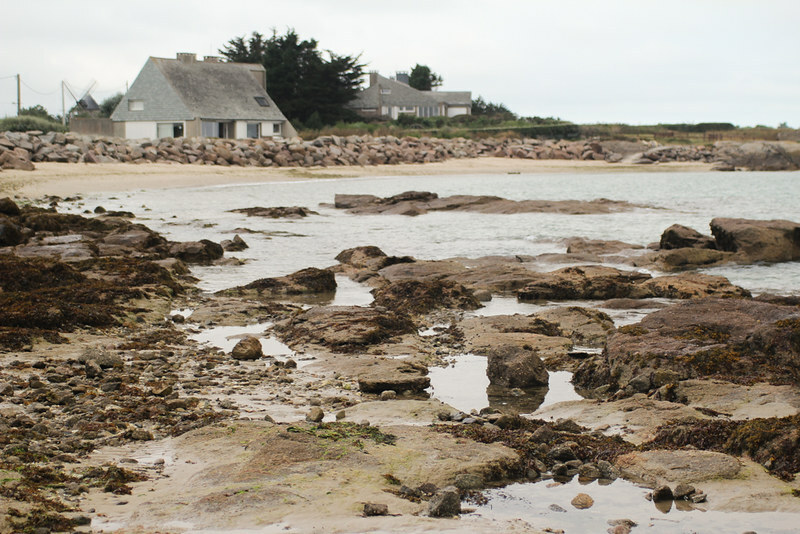 Did you expect Barfleur to be such a ghost village? It was a ghost village just in the early hours of the morning when I arrived there. After that the quay became very busy with the fishermen. What a charming little town. I’m planning to head back to France next summer. I would love to check out this village. Great photos! It looks like a really cute place! Is it doable in one day? BTW I am a vegetarian and must say fishes are not my food but I liked the photos. They are very good quality. I like the idea of hitting a smaller village/town instead of where everyone else goes. It’s so nice when you wander around a place that seems designated just for you. Me, I would have planned my schedule around the idea of eating those mussels. Perhaps you should go back for the food? Sometimes these kind of small, quaint places give you so much to enjoy. Loved your account and the pictures that went along with it. The entire journey gave me a feeling of peace and tranquility. I love old fishing towns! Especially when no one’s around! This sounds like a great day trip ? Ree love30. 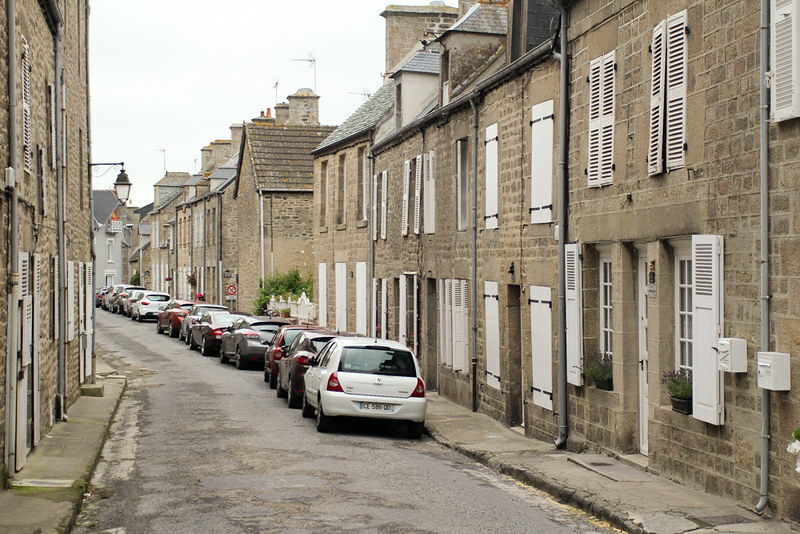 We were able to explore quite a few beautiful and quaint French villages. 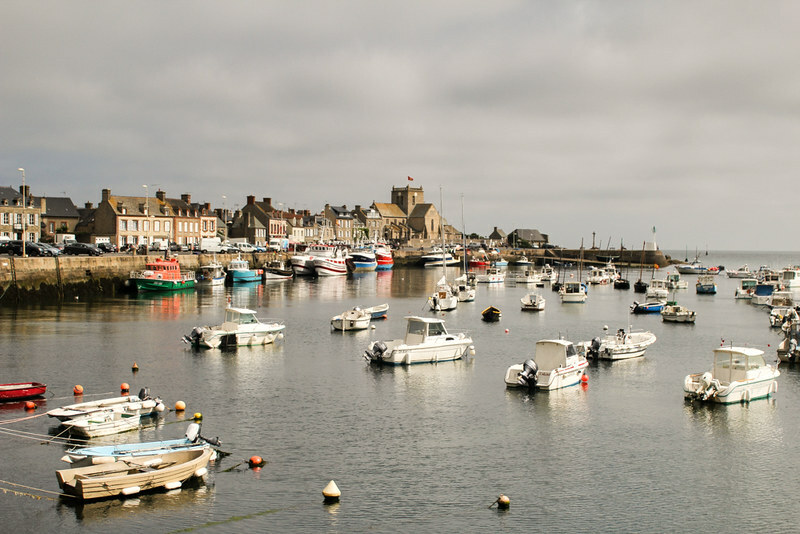 The fishing village of Barfleur looks lovely and fascinating and its great experience to watch the local fishermen doing their daily fishing business. This looks like such a beautiful village to explore on a day trip. Only 600 people that is amazing.! fishing villages are always a great place to visit. Many people (including some in my family) think there is not much to do. But in fact there is so much to do. In fact, with friendly locals , at times you can just go to a pub and start a chat with them and they would tell you so many stories about the place that the internet would never have known about. Wow, this is a nice glimpse into a side of France that not many people try to see. I really liked your action shots of the fishermen! Oh yes, and here’s the obligatory “those pastries looked delicious!” comment (which they totally do). Thank you for this post! That’s one gorgeous fishing village . And I am amazed to know that people know each other by name. Would love to visit it one day! I’ve never heard about this place before but it seems like a great way to spend some time. Incredible adventure. I also love to discover new places ! Btw. Great photos!! 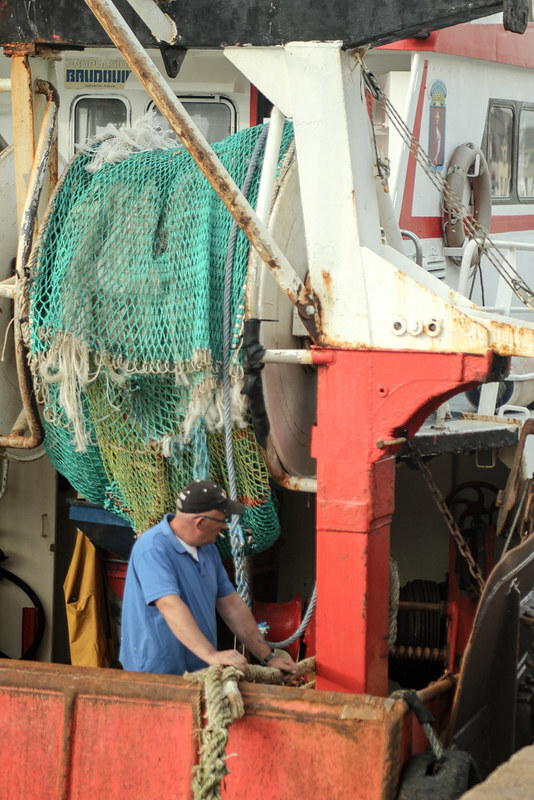 Seeing the fishermen in action is fascinating. It’s SUCH a hard life with long days, and I totally respect them even more when I watch them like this when visiting sea villages like Barfleur. I also love the charm of the city street scenes! 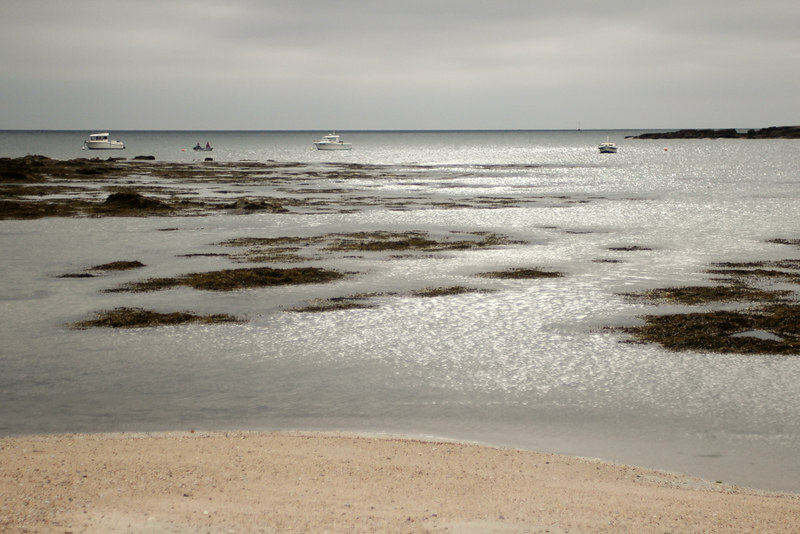 My first time hearing about Barfleur and it sounds so inviting. The pics are really great as well. This place is wonderful! I’ve been to France on my school excursion and visited Nice and Cannes. Both gorgeous cities, but I believe that the smaller one, just like this one, have something special. What a great way to spend the day! Though Im not overly sure on climbing the 365 steps lol. Love your pics ? What a lovely little French fishing village. Although the weather was gloomy in the morning, your water shots turns out fantastic and serene. I wish you could stay longer so you can try the mussels and walk during the low tide. 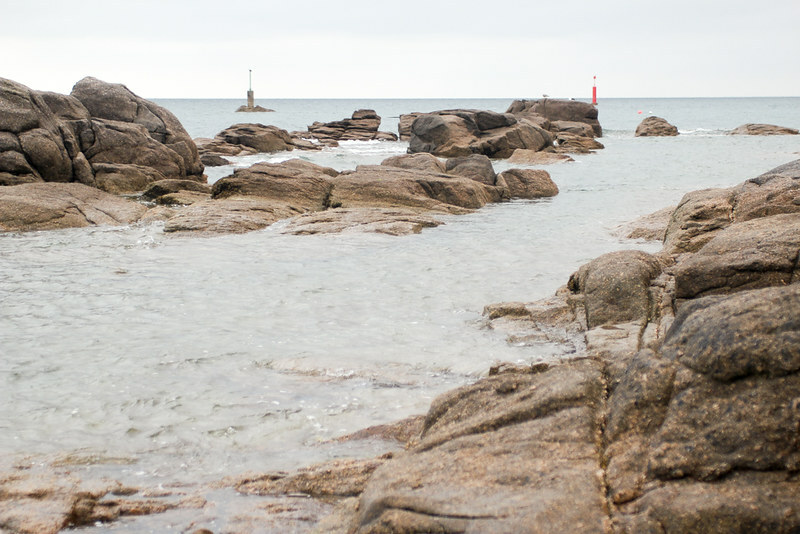 Do you plan to do a return trip to Barfleur? This place looks fantastic and so charming. What beautiful photos you take! Barfleur looks great! A nice typical fishing village but with lots of scenery and things to enjoy. It is incredible that you got a flight for 24 pounds! I miss the cheaper flights in Europe. I lived in the UK and LOVED the cheap flights for small European getaways! I love visiting small towns like this! It makes you appreciate the slower paced kind of lifestyle. It’s lovely out there and mornings spent sipping coffee by the sea is one of the best! What a great price on the ferry ticket you got! Barfluer sounds like the perfect place for a day trip. And those cakes! I don’t know how you stopped at one although almonds are my fm favourite ? A small town indeed, but definitely a beautiful place to explore. I really enjoy your blog post, next time when you get the chance you can wear your jacket if you’re going to travel, your scarf would be a help as I’m always bringing it with me as well, but I guess jacket could really a big help as a remedy for the coldness. Your photos are really nice, you captured it with a heart. I like how you able to witness the daily routine of those fishermen. So glad to hear about a place that is not too well known but worth visiting. This is a reminder that one does not always need to visit the main cities that are populated with tourists. There is so much more to see and I love short getaways. I love it when you find places off the beaten track! So nice to see the locals doing every day things. 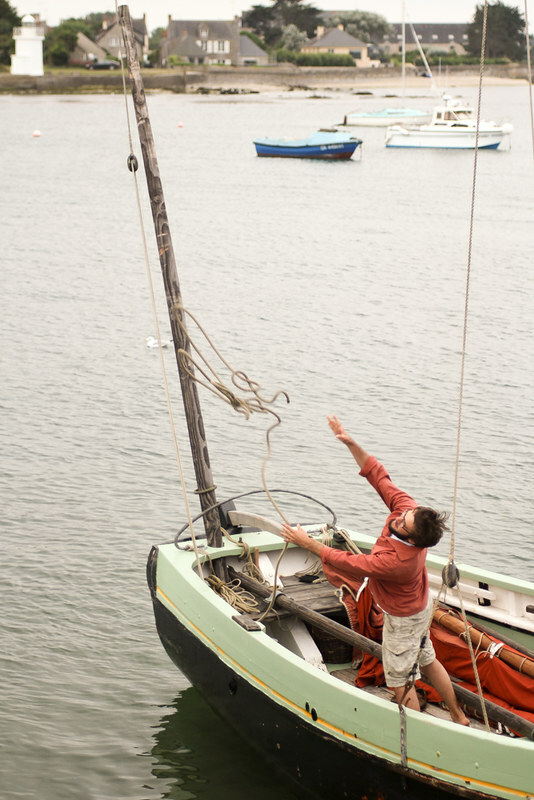 I love the photo of the man throwing the rope. Lovely article, this reminds me of my childhood. I used to tag along with my friends to fish during weekend (this during my grade school days, and their boat is so small, unlike their boats!). We have so much fun, even the days we didn’t have a catch, LOL. 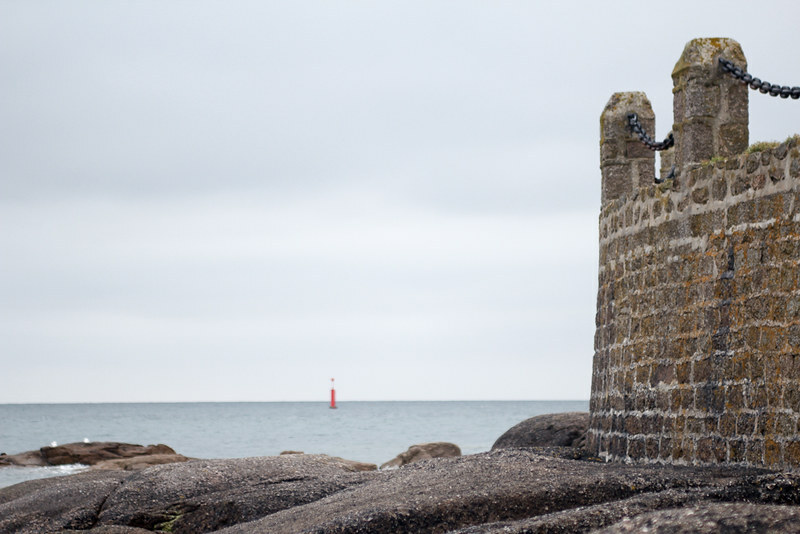 These images really remind me of when I used to live in Brittany. 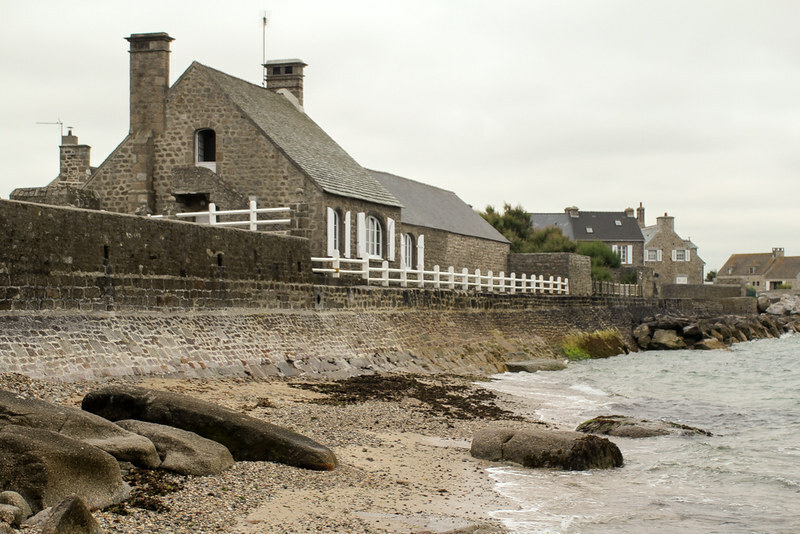 Although I never visited Barfleur, I have been to this region several times, and it’s so accessible from the south of England, it makes a lovely trip out! What a nice, little town, it reminds me so much of the fishing villages here in Ireland! I can’t wait to visit Britanny soon, one of the few regions in France that I haven’t explored yet. That patisserie looks amazing by the way! This looks like a fun trip and I can’t believe you did it in one day!! Very well written post too! Loved all your click specially the desert ones 🙂 ?? As a citizen, I tend to forget about small villages and towns within the countries. They are so far away from the cities and therefore, our lives. But they turn out to be so amazing and live in a totally different rhythm. The may even have different values. Only 600 people and they all know each other … unbelievable. The architecture is also beautiful and I loved your descriptive writing. I felt like a was drinking that delicious coffee next to you. I love small pretty towns like this. Away from the hustle and bustle of the city. And have you got self-control! I would have bought one of each pastry! 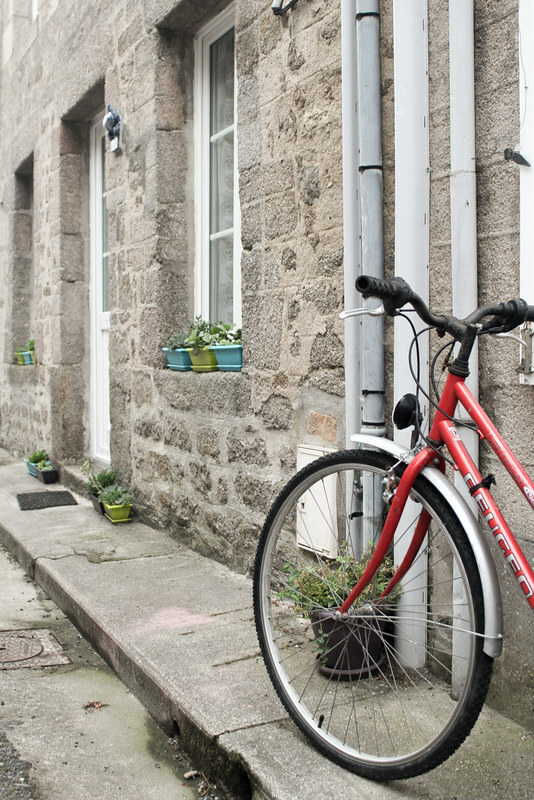 I think it is great to go off the beaten track and Barfleur looks perfect, even if small it has a rather lovely, quaint charm. All the cakes and pastries look amazing. I’m glad you took a road less traveled and witnessed a beautiful town during its day to day gigs! What a gorgeous, quaint city is Barfleur. It’s absolutely amazing to see such small cities where everyone knows each other. I love how you were on your toes trying to see the well in the garden. I would have done the same thing too. What an amazing fishing village to be able to visit and explore!!! I love how the buildings look, such a peaceful place! What a trip! I wasn’t aware that France had places like this, I love small villages, especially fish villages, I don’t know, they enchant me. Love the shots and the description, thank you for sharing! It looks like a great little town. I love going to visit places that aren’t full of tourists and seeing real life. You have taken some great pics and you can see exactly how the town looks, typical that the sun came out as you left, I know the feeling!! What a quaint little village to visit! I love it! Great place for a little day trip. I’m glad you found the patisserie! That would have been my first point of call ha ha! Sounds also like a great place to go people-watching. I can’t argue with you about making the patisserie a priority. The entire village seems charming to wander though! I don’t normally think about fishing when I think about France. It sounds like it was an amazing experience in this small fishing village. I love drinking coffee in cafes when I’m in France. I also love the pastries! It looks like a homey little village. I wish I could see the fishes those fishermen caught. The sweet looks delicious too! The light house looks beautiful as well and I would definitely like to visit the place and take a look at the light house. Places like this are just amazing! We don’t have those where I am. We have a differrnt version with huts and palm trees. But bith wouls remind you of how lovely it is to live in the country where life is slow and peaceful. France has always been famous because of Paris. It’s nice to see/read about other towns as well. I love small towns because mostly they have the most interesting stories and people. This looks like such a beautiful little town. I would love to spend some time here. Your pictures are simply stunning! I love small towns like this. They have so much to offer. Looks like you really had a good time! I would love to visit this town as your pictures are all so mesmerizing. I only see these kind of sceneries in the movies and I’m quite jealous that you actually experienced this kind of village. The pastries all so look yummy! Truly, France is a must visit country. Things like these are some of my favorite things about Europe. I love seeing how normal people in small villages live their lives. I like your writing style. It read more like a novel I couldn’t put down than anything else. I haven’t been to this area yet but now I am interested in checking it out. What a beautiful place! I really like how you capture the essence of the place with detail shots and people going on their daily activities. The color of the photos is also very special, I like your editing. Great place to spend the day! Looks like you had a great time and why wouldn’t you, the place is so peaceful and quite. There is a lot to explore here, were you able to have complete tour in one day? I am a vegetarian. So do you have any known about the vegetarian food there? I could feel the atmosphere trough your pics! You must have had great time over there. There’ re so many fantastic places I would like to see and visit. This is such a charming and picturesque little French village. It has a lovely old world aura around it which is so appealing. I do need to explore France beyond Paris and get to see the lovely villages and countryside some day. This is some charming. I love to explore the small city. It is so much fun and can be way better than the better cities.